Good Morning! How are you? 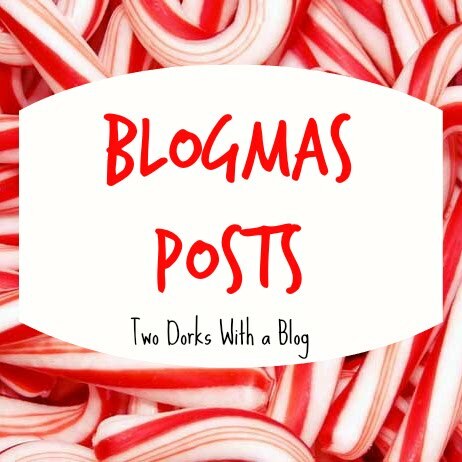 I hope you have enjoyed the first 4 days of Blogmas? If you have, please comment down below and tell us what your favorites are! We love the comments! In spirit of Christmas (pretty much every post this December) I have brought to you today, Christmas Décor!!! I am going to show you what I put up in my bedroom every Christmas. I might even tell you a little story behind them if it's interesting! Lets get started! I'm standing on my chair, so don't freak, I sit while I'm on my computer. This is the first thing you see when you walk into my room. I took a panorama so you can get the full effect. It looks a lot bigger than it actually is, but I suppose that's a nice thing. 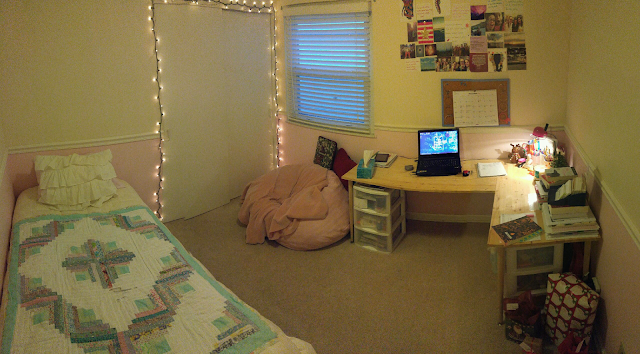 ANYWAYS, my bedroom is cozy. This is my little desk décor/display thing. 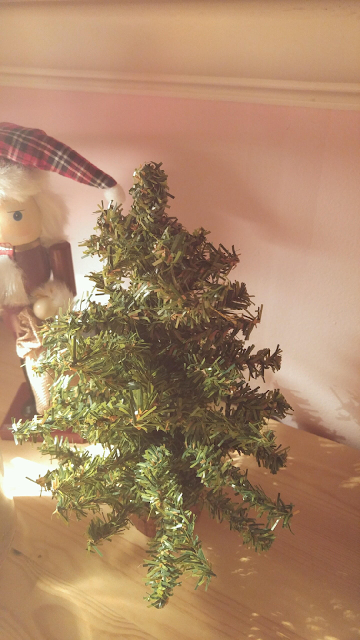 So on my desk I have this little mini Christmas tree, and next to it is my nutcracker. 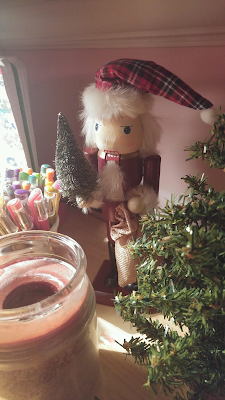 See if you can tell what is wrong with my Nutcracker. I got him as a prize, and then realized that something was missing. 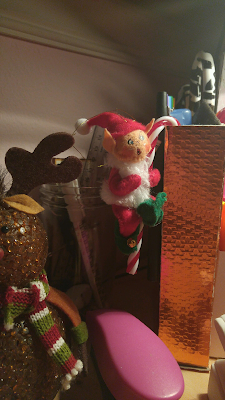 On the opposite side of my desk organizer, (which you can make, just read this DIY Desk Organizer) I hung up my little AnnaLee elf ornament. 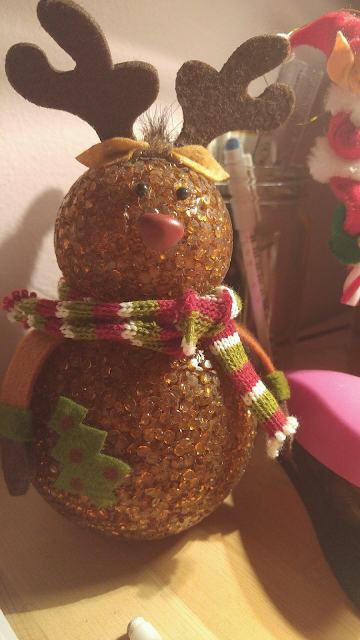 It has little bells on it's feet and I love it so much! Emma actually gave me the reindeer a few years ago as a Christmas present! I put it out every year. 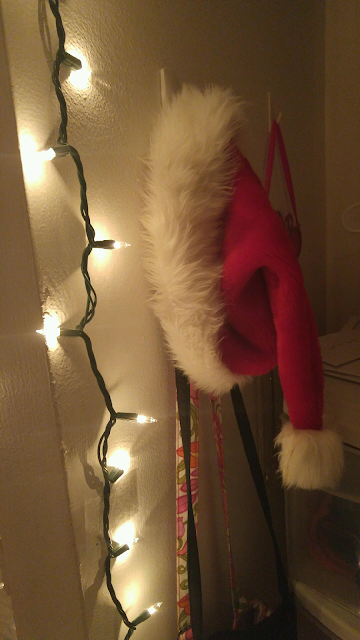 I always hang my Santa Claus hat in my closet, because sometimes I wear it during the day. 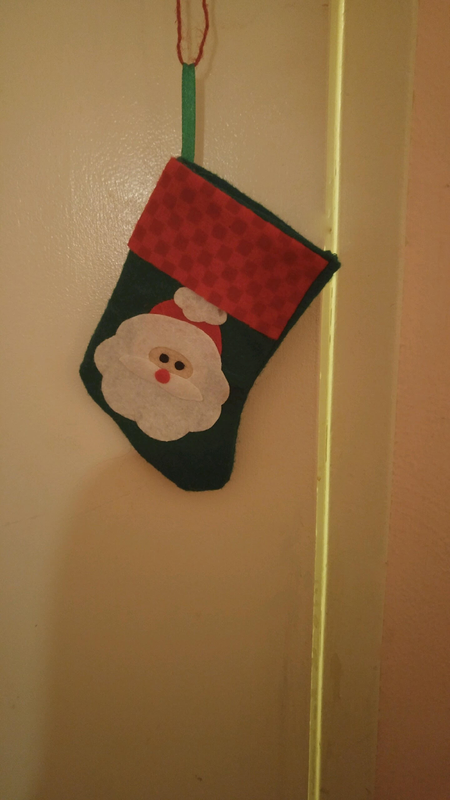 My stocking gets hung on my door handle. 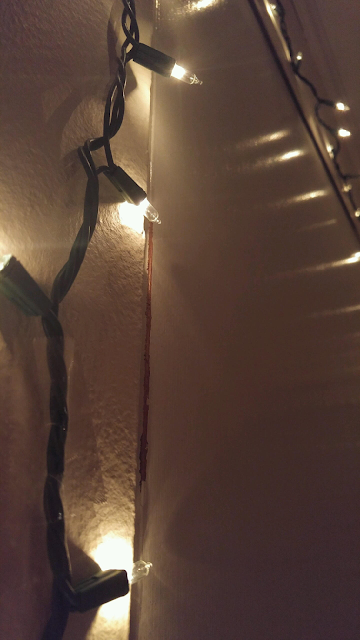 Last but not least, I LOVE my Christmas lights. They just add everything that's missing to my whole room! 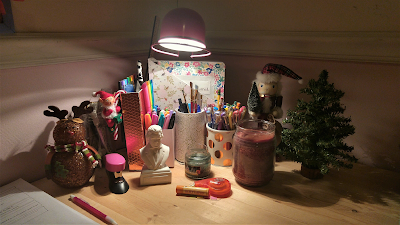 I hope you enjoyed this post and found some inspiration! 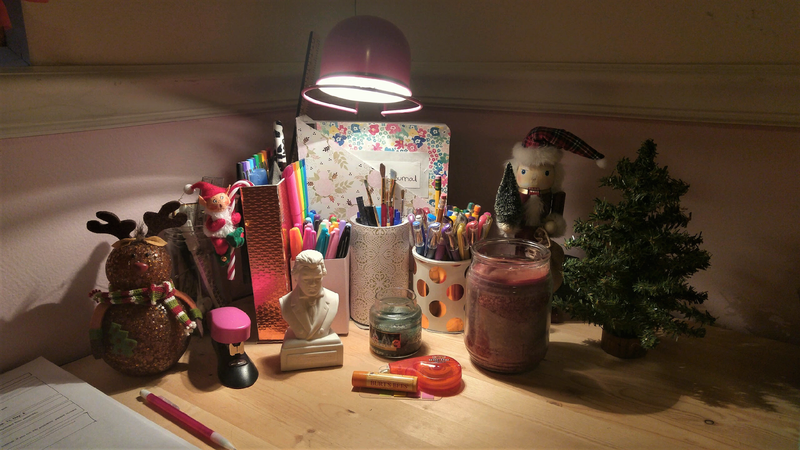 Keep in mind, I am not trying to brag about anything, I just think this is a cool way to share ideas and kind of invite you into my room so we can hang out and chill without it being creepy! Enjoy Emma's post tomorrow! Also, go check out my post on International BFF's that just went up today!